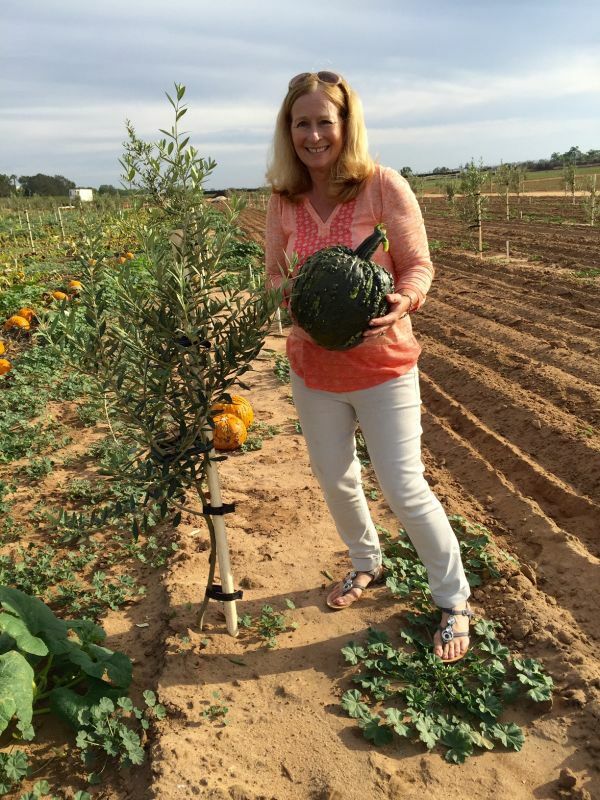 I happened to have access to many varieties of pumpkins this year at a nearby farm. I loaded up my car with several varieties and was so excited about the possibilities. I couldn’t resist the temptation when I saw so many varieties. So, I packed up my car, gave them a good rinse when I got home and started making my holiday pies and breads. It’s interesting how much each and every pumpkin varies in the amount of water and flesh it contains. I blended the pulp together for added flavor after I roasted them. If you need directions in roasting your pumpkin look here. From there I often make my traditional pumpkin pies and pumpkin breads for friends and family. Recipes can be found here. I often freeze my pies for the holiday season and bring them out for company or dinners and bake then fresh. 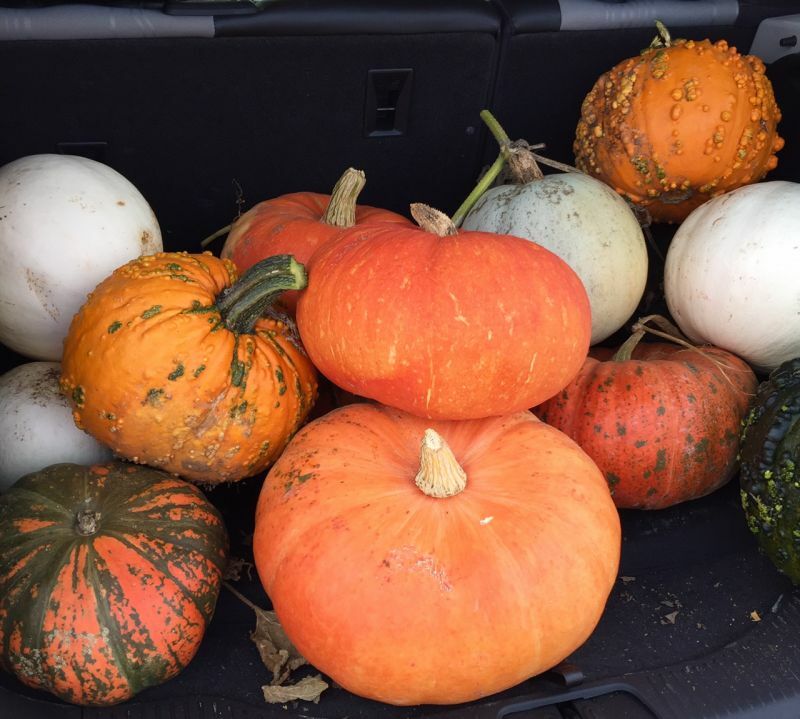 This year with so many of them, I will save the pumpkins whole and use them up as I need them. 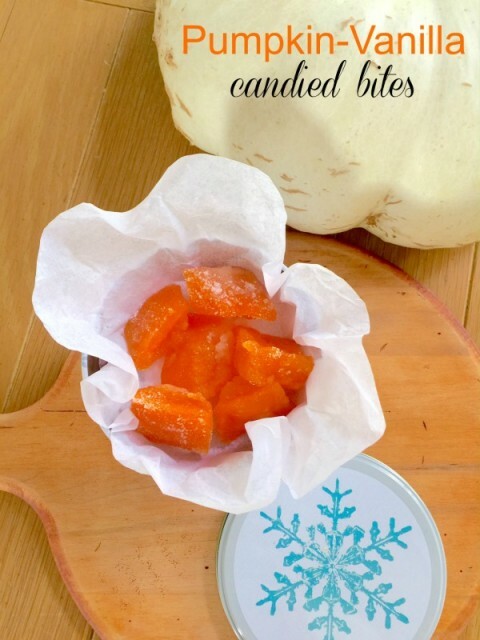 The grocery stores carry the sugar pumpkins which can substituted for any of these recipes, or the canned organic pumpkin with no spices. Every year I try to expand my pumpkin recipes by bringing in one or two new recipes. The family isn’t so keen on this idea. They love their favorites, and so do I. But I do like to surprise them with something new! My recipe this year is a gift to give to others or serve at your dessert table during the festive season. Plan ahead because it take a couple of days to complete. Once your done with cutting up the pumpkin and cubing, you can weigh your cubes, and adjust the recipe. I doubled the recipe with no problem. Dissolve the sugar in a large pan. Add the pumpkin and cook slowly not to break down the cubes. Once cooked remove in a bowl and simmer the syrup until reduced in half. Can't pass these up for a great gift -giving treat for your friends and family. We just love them! 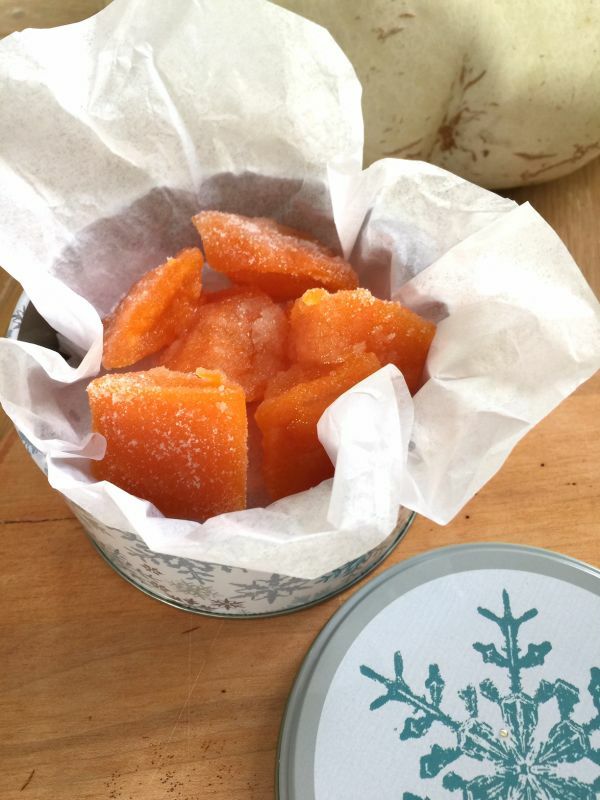 1 pound pumpkin, peeled and cut in cubes or triangular shapes. Place 2 cups of sugar, water and vanilla in a saucepan, and heat until sugar is dissolved, stirring constantly. Add the pumpkin cubes and cook for 1-15 minutes until just tender. Remove the cubes with a slotted spoon and reserve. 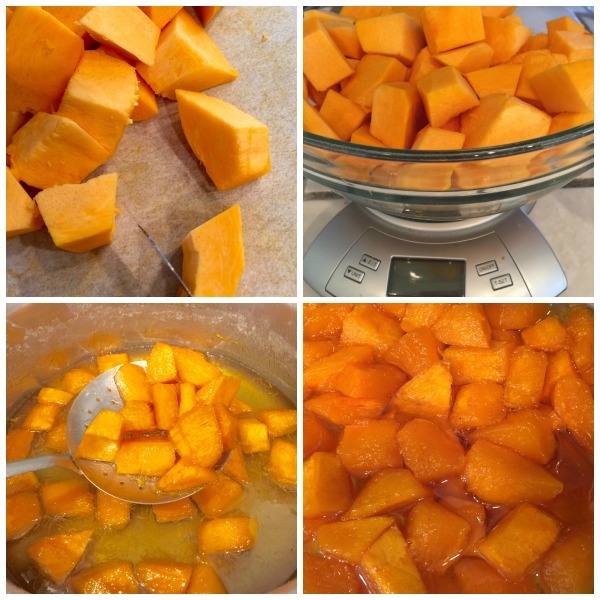 Boil the remaining juice until reduced in half,add the pumpkin cubes and set aside for 6-8 hours. Place a wire rack over a sheet pan, using a slotted spoon remove the cubes and place on rack. Coat the pumpkin with remaining syrup and cool. Allow the pumpkin to dry for 24 hours. Toss the cubes in sugar. Store in a sealed container, up to 2 weeks. These pumpkin bites will be made as gifts this year for my friends and family to take home and enjoy. I bought small tins and tissue and will wrap them up nicely as a take home treat! I hope they enjoy them as much as I do. Of course, I will have to tease them a little and have them out to munch on all day long, little do they know they will have their own stash to take with them after the evening is over. © 2015 – 2018, Mary Papoulias-Platis. All rights reserved. How clever is that. I must try this. Hi Cathy, Thanks for the comment. I do love lemon peel and orange peel done this way, so I played around with the pumpkin and got this. A fun Thanksgiving treat!